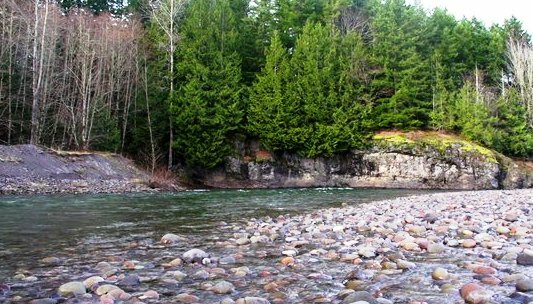 The Toutle river is part of the Cowlitz river system and was once well known for top notch Salmon and Steelhead fishing. After the Mt. St Helens eruption back in the 1980’s salmon populations significantly declined. Thanks to Washington’s hatchery program the salmon and steelhead populations have been restored and the Toutle is once again an upper tier salmon and steelhead fishery. For Toutle River Fishing access see our Toutle River Fishing access map below. Salmon generally runs August through November and Steelhead June through November. Limits usually run 6 Salmon per day with up to 2 adult Chinook allowed, Steelhead 2 hatchery fish per day.